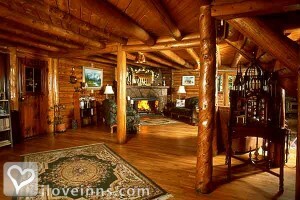 Estes Park bed and breakfast travel guide for romantic, historic and adventure b&b's. Browse through the iLoveInns.com database of Estes Park, Colorado bed and breakfasts and country inns to find detailed listings that include room rates, special deals and area activities. You can click on the 'check rates and availability' button to contact the innkeeper. Are you tired of inhaling urban air pollution? Well, have your next getaway in Estes Park in Colorado. Take a deep breath and inhale the wonderful smell of the Estes Park pines. In spring, the scent of wildflowers float in the clean, crisp air. If you are looking for the best getaway that will give you a break from all the stress and brought about by urban living, then Estes Park is the perfect destination. Looking for a place to stay is not a problem in Estes Park, what with the many relaxing and refreshing Estes Park bed and breakfasts. Estes Park offers pools, playgrounds, and recreational activities for families as well as romantic dining and adventures for couples.